BRAND NEW HOME! OWNER ONLY LIVE THERE FOR ONE MONTH. No waiting from builder to build out. 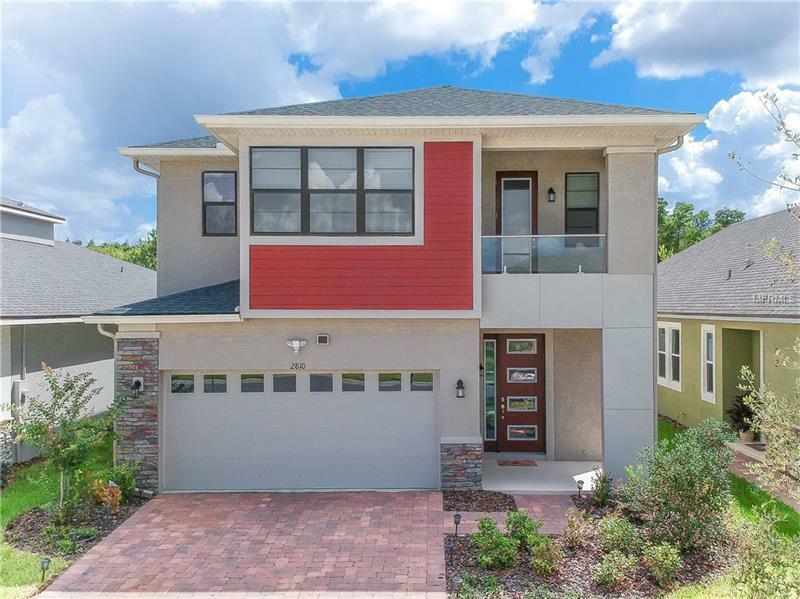 This is Palmetto Contemporary Floor plan, with 4 bedrooms 2.5 bathroom, one study room down stair with fresh door which can convert to 5th bedroom as well. Large family room which connecting to the kitchen and dining room. Upgrade large stash sliding door which wide open to the extend screen patio. Many upgrade to the house .... One of the nice gate community in Kissimmee with 24 hours security guard. Unexpected attractions include a large fitness center, multi-purpose activity room, locker room, ballroom, catering kitchen, open-air veranda, walk-in pool with water slide and Splash park, playground, sports fields, BBQ pavilions and myriad walking and bicycling trails through out the community.